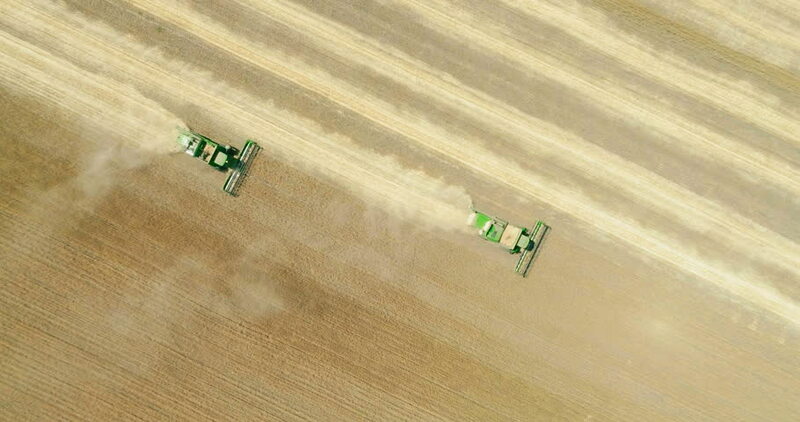 Two modern combine harvester working on the wheat crop. Aerial view. 4k00:15Nikolaev, Ukraine - September 29, 2017:Aerial shot of a big combine harvester collecting sunflower seeds in summer. The land is covered with misty white and brown dust.